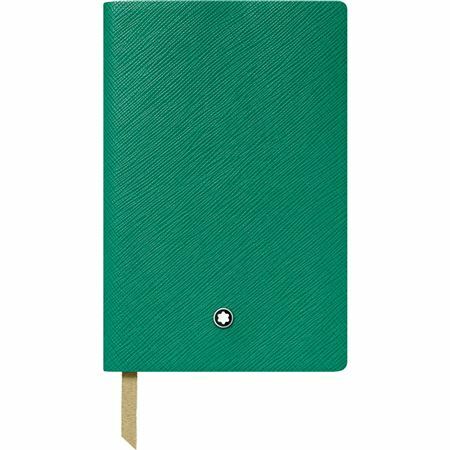 Order your Montblanc Fine Stationery Notebook #148 - Emerald Green Lined today from FahrneysPens.com. Fine Pens, Refills & Luxurious Gifts – great prices & fast shipping. By introducing the new Fine Stationery Line color collection, Montblanc strives to fulfill its dedication to writing culture and the pleasure of writing, bringing a fresh splash of color into the assortment each year with PIX, Fine Stationery and Writing Accessories. The fresh color is inspired by the beauty of emerald stones. 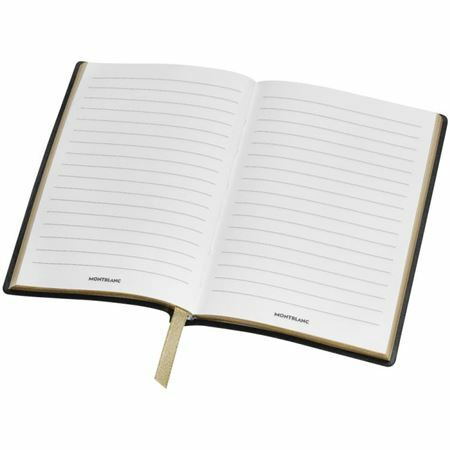 The Notebook #148 is offered with lined gold-edged paper and a golden bookmark. 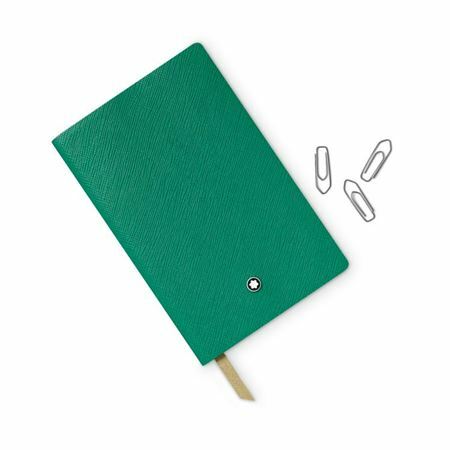 All fine stationery products are manufactured in Italy, crafted with the finest Saffiano leather and high-quality 70 g/m² paper watermarked with the Montblanc emblem.